Make your menu more delightful with Red Gold fresh-packed tomato products. We share some menu ideas to get you started. #10 Red Gold Diced Tomatoes: Our Red Gold Diced Tomatoes in Juice is made from fresh-picked, vine-ripened tomatoes. 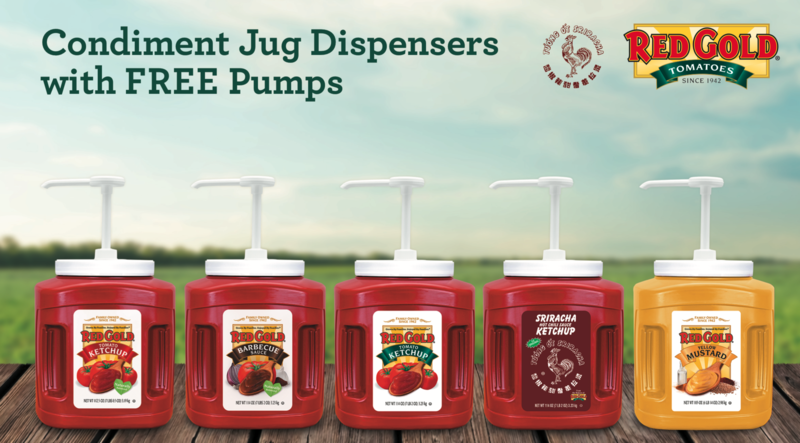 The Red Gold condiments you know and enjoy are now available in easy, convenient and cost-effective, pump jugs with dispensing pumps!